2. Purchase a PATS key for "Cheap"
PATS stands for "Passive Anti-Theft Security". It is Fords answer to car theft. Inside each key, there is a little RFID chip. When properly programmed, your PCM reads and recognizes the RFID inside the key. Without the proper RFID signal, the ignition system WILL NOT WORK. Motor won't even turn over...basically makes the vehicle one big paperweight. This makes it alot harder to steal a late-model Ford. 2b) eBay! 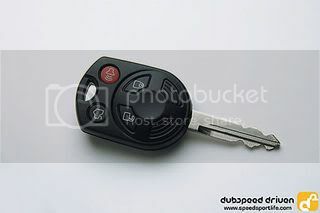 I have bought many many PATS keys from $5-10 shipped over the years. They are plentiful. There are 2 ways to program a PATS key. 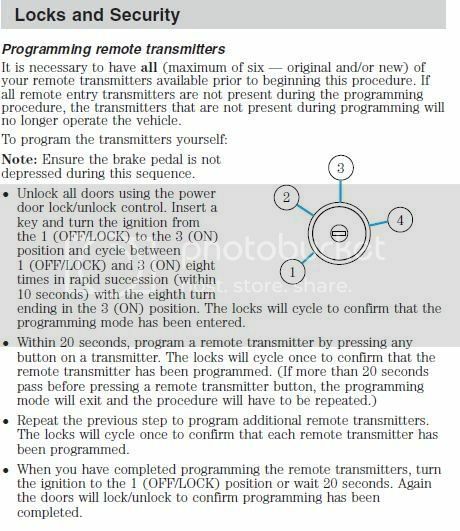 3a) You have 2 PATS keys that already are programmed = FREEBIE! Unfortunately, you must visit the Dealership, or a properly equipped Locksmith. They will have to connect a special tool to the PCM and perform the key programming for you. Roughly costs $40-50 (1/2 hour labor) for this service. So if you are like me, the key + clicker can be somewhat cumbersome. 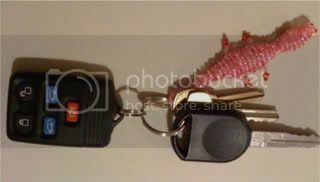 the Ford Fusion key/clicker will work with 2007+ Stangs only. 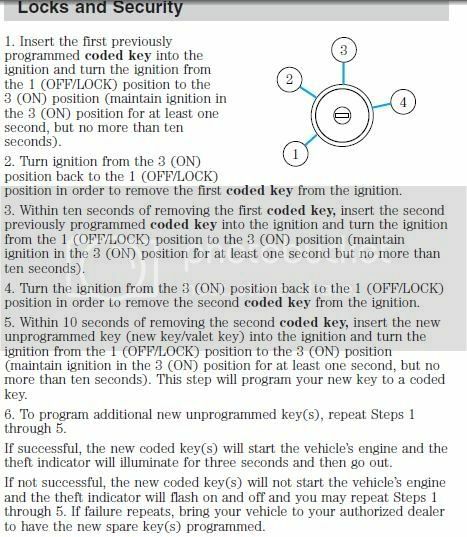 2005/2006 cars utilize a different system and the clicker portion of the Fusion key just won't communicate. I love the Fusion key I have for my Expy & Mustang. To use program, follow the seperate programming instructions above for the key and clicker. You have to program each portion induvidually. As for purchasing one...eBay!!! Notice a trend? These keys are not quite as cheap as a normal PATS key however. But the going rate seems to be about $30 roughly. To me, highly worth it. Hope this clears things up. If you have any questions, please ask.